Happy Mother's Day to all our Moms among our on-line family.! A tribute to the phenomenal mother, they are supporters, pain bearers, influencers, who guide their young through obstacles they seek to overcome. A Teacher of lessons, preacher of God’s blessings, mentors of the soul. Show tribute to our phenomenal mothers. Mothers whom no amount of gratuitous praise could ever repay them for the day they give life to what we are today. Display your love, hold them on a pedestal above, for irreplaceable they are, a gem that shines brighter than any star. Always respect and never forget our providers, confiders and best friend, Our mother. Phenomenal mothers they are, strong and sacrificial, mothers who have a day dedicated to say, how happy we are to try and emulate your way. Below is another lovely poem, I want to share with you. Oh dear, what else could I possibly say about honoring our Mothers that has not been said in these lovely poems. Only, that I wish each and everyone of you...Mothers among our on-line family a very Happy Mother's Day. Fathers, sons, brothers, sisters, etc. - even though you must show your love and appreciation all year round this Sunday, May 10th is the one day out of the year to express how much you adore your Wonderful Mother! To my Mom: You know you are my inspiration and my strength. You are the reason why I am - who I am today. I have never seen a stronger woman than you, who is certainly a leader. Our life and growing up in Trinidad was not easy for our family, but you made it all perfect with just a little smile (between the tears), a hug and a whisper to each of your 3 children telling us that "it will all be alright!" I must say...here we are today, indeed it's alright...actually everything is fantastic! Hum...as I think more about the lovely woman you are, I think about how your love expanded the realm, how much you shared, how everything you got or bought for yourself, you made sure your kids had it, or some of it too; especially your only daughter...ME. Clothes, Shoes, trinkets, jewelry, accessories, just about everything you shared with me, and I THANK YOU FOR THAT! Yes, you are awe-inspiring. My brothers and I thank you for taking good care of us, we truly appreciate it and sincerely appreciate all you have done, and is still doing. Wow...now you have the grandkids to love, teach, train, and enjoy! It's funny, I understand you don't spank your grand-kids, Gosh, I wish in your younger days you didn't believe in spanking...my brothers and I would have loved not receiving beatings/spankings...LOL. You have always said to me I was your Mother's day present because of my birth date, and not to mention me being your first child. Please know that I am honored that you still say these words to me today. Just hearing these words every Mother's day, (on my birth day) makes me feel extremely special. To my Mother-In-Law: You too are awe-inspiring, and in these last few years I have seen your strength and admire it tremendously. I know it has been crazy for you being alone now, and even crazier in these past few months loosing your only sister (who you adored), not to mention the lost of one of your brothers and your dad. At any rate, you have done a great job raising your children, and it's evident by watching the lovely man I married that you brought into this world. As you know, he adores you and treasures the long conversations you have on a regular basis. He wishes you a very Happy Mother's day, actually we both wish you a lovely day. To all my Friends and associates Happy Mother's Day, especially...my adorable Sister-In-Law Linda in Trinidad, my Aunt Maureen in ATL, Cousin Kym; Cousin Allison; and Cousin AnnMarie; Ms. Beverlee; Gwen; Brandy; Abasade; Joan; Denise; Michelle; Senait; Karen; Pamela; Bishop Myrtle and the rest of the Women in my family... the Harding, Joseph, Yallery and Bristol Families. 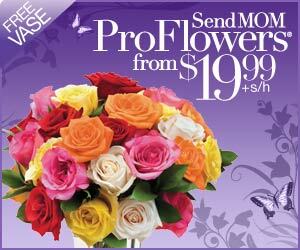 Mother's Day is here, so if you have not ordered your flowers - do it now, and purchase your gifts. Call Home and get 20% off on all your long distance calling needs with Pingo. Rates per minute are excellent. Save on International Calls with Pingo Calling Cards! "Samaria is a place that still exists today but in ancient times kings used the land to build underground hiding places for their jewels and most prized possessions. " FROM: 5:00pm-9:00pm. Music by: DJ Blast. Food & Drinks on Sale. Food and Refreshments On Sale. Music - Fun - Games. Starts @ 3PM until!!! Very Special Birthday Wishes to Mr. Von Martin, please enjoy your day!!!! Brandy Happy Birthday Again...we were a week ahead sending you greetings. Very Special Birthday Greetings to Amanda (hope you are doing great), Baby Madison, Ke-Maurelle, Ken (Shortmus) and Hill H.
Happy Birthday to my friends: Jerry in CA, Victor, Linda H., Carolyn, Roland B., John B., Lawrence, Winnie, Della, Justin, Blade and Aunt Allison! Happy Birhday to all our Twitter Friends!